AN ORDINANCE TO AMEND THE TOWN CODE OF THE TOWN OF TALKING ROCK, GEORGIA, TO ADDRESS CERTAIN ZONING MATTERS. 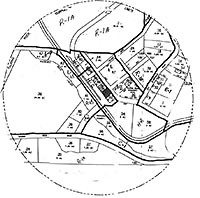 That Section 4-4-1 of the Code of the Town of Talking Rock, Georgia is hereby amended to add Table 4-4-1-A, the Permitted Uses Table, at the conclusion of this Section. It is declared to be the intention of the City Council that the sections, paragraphs, sentences, clauses and phrases of this amendment are severable; and if any phrase, clause, sentence, paragraph or section hereof shall be declared unconstitutional by the valid judgment or decree of any court of competent jurisdiction, such unconstitutionality shall not affect any of the remaining phrases, clauses, sentences, paragraphs and sections of this amendment. All other provisions of the Code of Ordinances in conflict with this amendment are hereby repealed. The adoption date of this ordinance is the date set forth below, and the effective date of this ordinance shall be its date of adoption. ORDAINED this _____ day of ____________________, 20___, the public health, safety and general welfare demanding it.